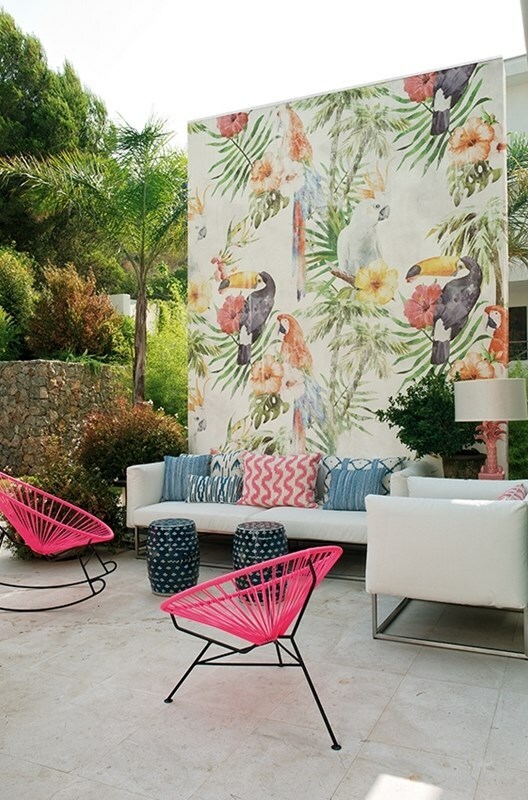 We’re looking at wallpaper again today but this time for your outdoor spaces. Yep, I know I couldn’t quite believe it either and I have to say I’m quite blown away by it too! 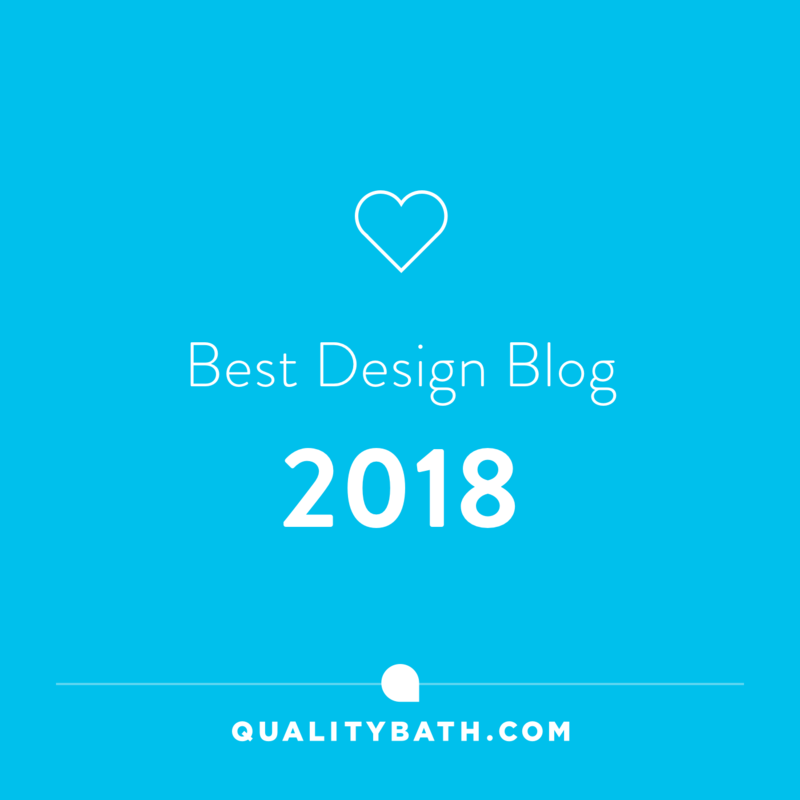 You may recall my post on Alternatives to Tiling Your Bathrooms, where I featured some rather wonderful waterproof wallpaper by Italian wallpaper designers, Wall & Deco. They also happen to do a wallpaper for your outdoor spaces too. 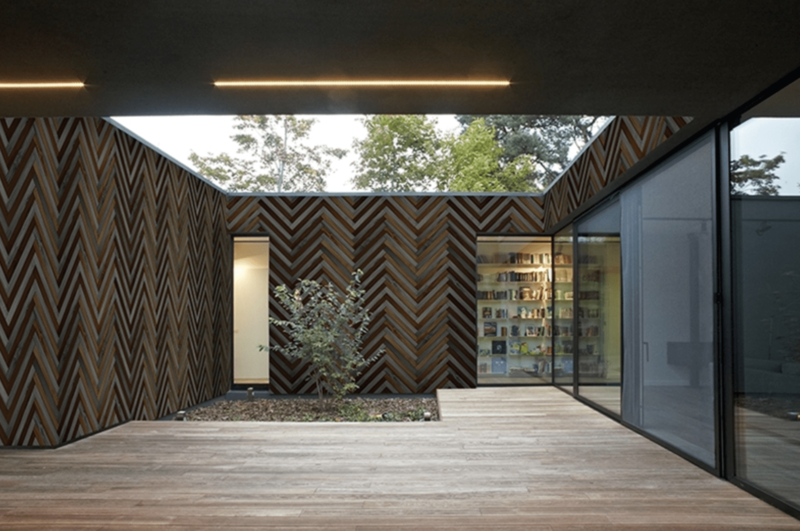 OUT SYSTEM is Wall & Deco’s revolutionary wallpaper for exterior applications. It’s similar to their WET SYSTEM wallpaper as it’s water-resistant which is just as well if you live here in the UK, (need I say more). You needn’t worry either if you happen to live in a busy commuter area as it has anti-yellowing and anti-smog properties. 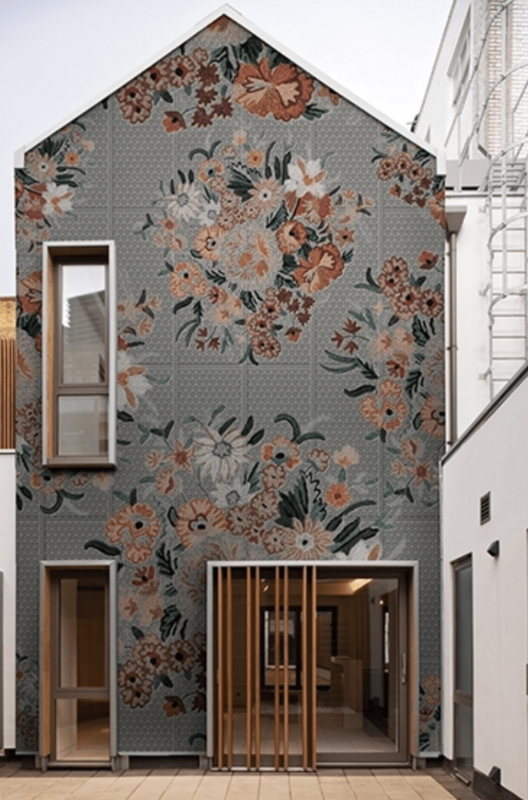 I love how Wall & Deco have taken a typical interior based concept of wallpapering and applied it to outdoor spaces. It’s kind of the reverse of what we’ve been seeing and saying in recent years of bringing the outside in. They certainly brighten up any facade and make a feature out of what is often plain uninspiring walls. Maybe you’re thinking wallpapering the whole of your exterior is a bit too much and I wouldn’t blame you. The cost alone would probably be enough to make you decide against it. 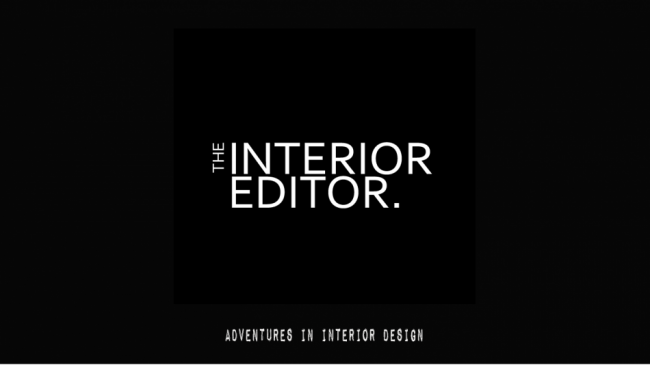 (They are available on printed on rolls that measuring W47cm and are priced at £40 per linear metre and made to measure). However, I think you’ll agree it certainly grabs your attention when used on a larger scale like this Tokyo Stripes number above. 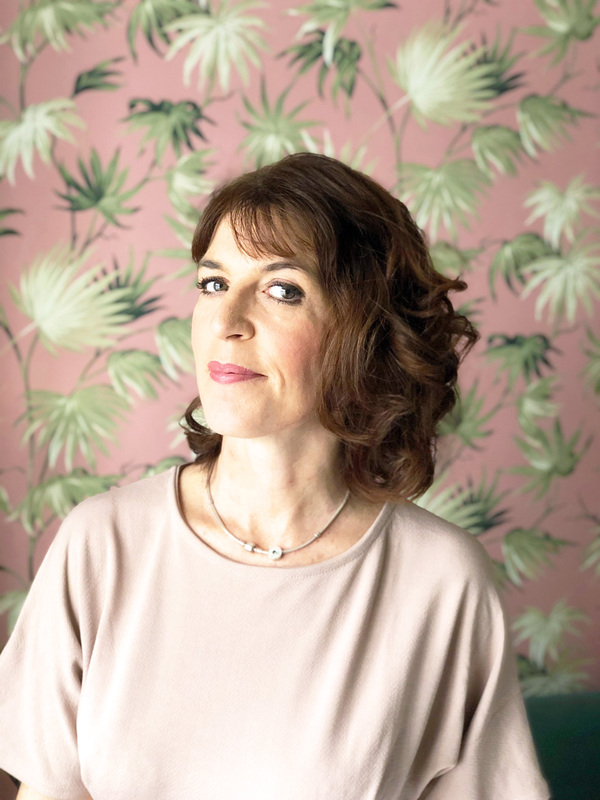 Personally, I’m thinking more along the lines of patio areas, where perhaps you have an unsightly extension wall, a garden wall, or even an outbuilding. 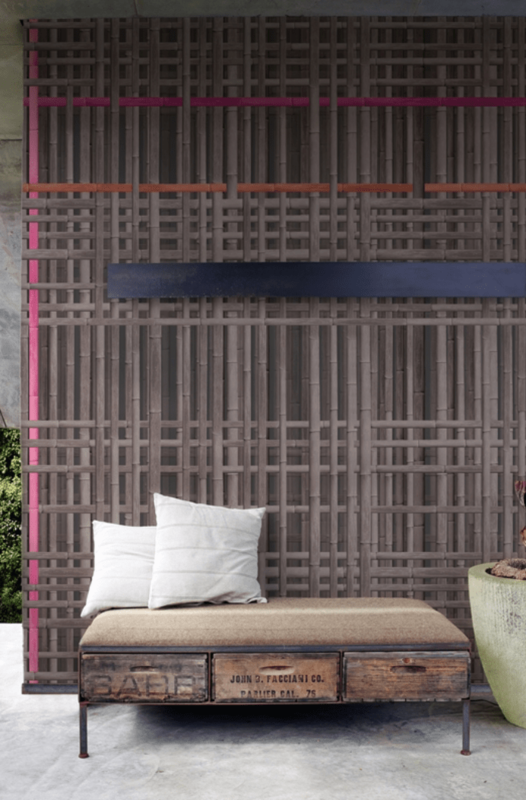 I love the idea that you can create a decorative outdoor space like you would indoors by using wallpaper. 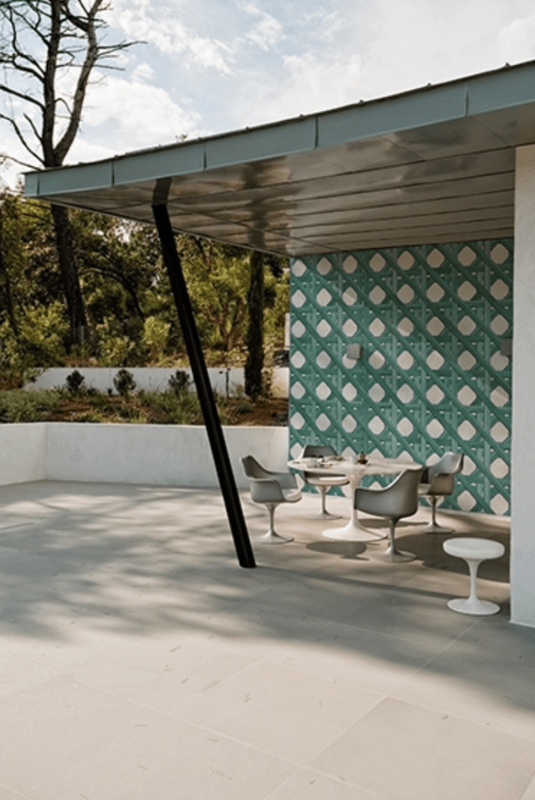 You would need to think about scale and proportion when choosing from the designs available from Wall & Deco, especially if you’re not going for the whole exterior look. It’s basically the same principle you would for wallpapering your internal walls. Larger scaled designs need more wall to show them off for greater effect. Ensure your walls are wide and tall enough to cope with some of the larger designs they have available. 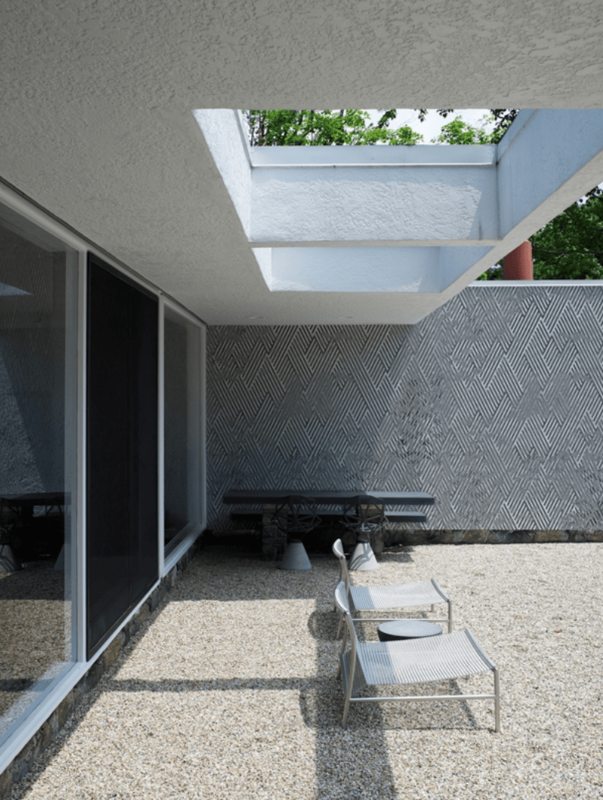 If your walls are shorter in width/height go for a design like the one above where the pattern is in proportion to the scale of the wall, which is particularly great for that patio. The OUTSYSTEM wallpaper can be applied to a variety of wall surfaces including cement, thermal coat or painted. You also get a 10-year warranty. 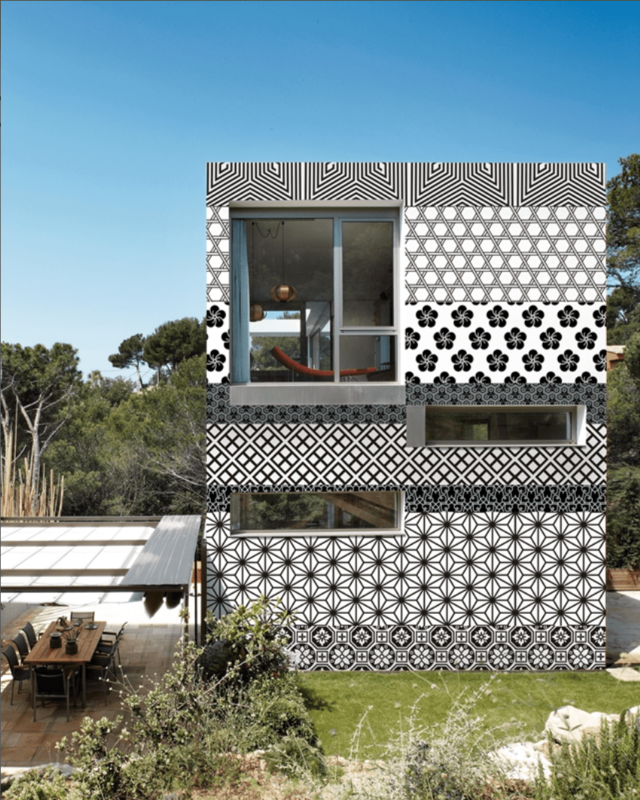 If you’re looking for a stockist of this innovative wallpaper in the UK, I found Zazous.co.uk. who you can get a quote from. The full collection of Wall & Deco Contemporary OUTSYSTEM Wallpaper Collection can be found by clicking here. That’s all from me this week and just to let you know I’m off to Cornwall next week for a family holiday. Have a wonderful weekend wherever you are…. If you enjoyed today’s why not sign up so you never miss another…. Don’t worry I kind of guessed ?